The MELO RT 25 features its innovative "Retractable Top" (RT) fill solution which makes e-liquid refilling the easiest and most convenient ever. The new ERL series coil heads are skillfully designed for ultra high power, enabling a huge amount of vapor production. 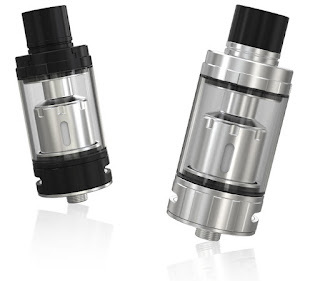 The wide bore drip tip sits perfectly on the tank with a large diameter of 25mm. Also airflow can easily be adjusted by turning the control ring with knurled design.